It's almost time for Halloween, when all self-respecting little ghosts, goblins and ghouls take a special interest in spiders. We saw this little jumping spider (below) on a pink rose. 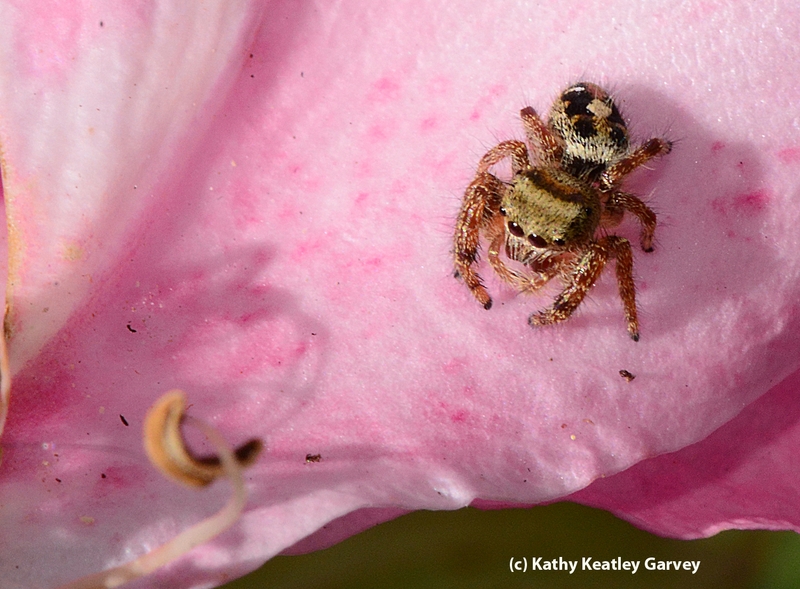 It doesn't look like it could scare anything--except for maybe a sweat bee or hover fly. This year the Explorit Science Center of Davis, a hands-on science museum located at 3141 5th St., is taking a special interest in spiders. 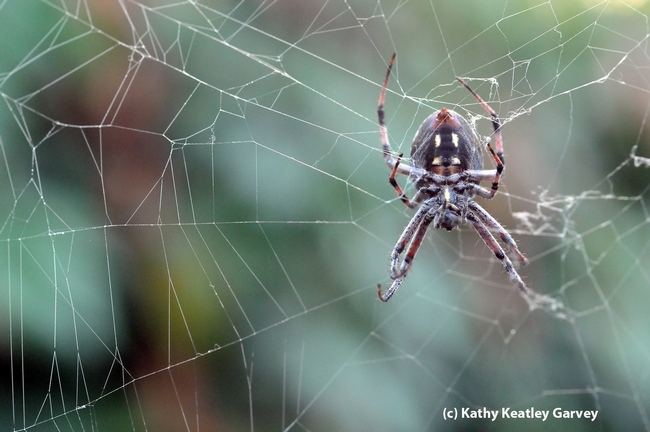 The center is sponsoring a number of programs on these critters and posted "Facts About Spiders" on its website. Mark your calendar for Saturday, Oct. 27 for the Bohart's public open house from 1 to 4 p.m. in 1124 Academic Surge on Crocker Drive (nearest intersection is LaRue Road.) This is a pre-Halloween open house and there definitely will be assorted spiders at the insect museum! Nice......I got a lot from it that I could never had thought. That mini spider is so cute. Good information. Thanks a lot. 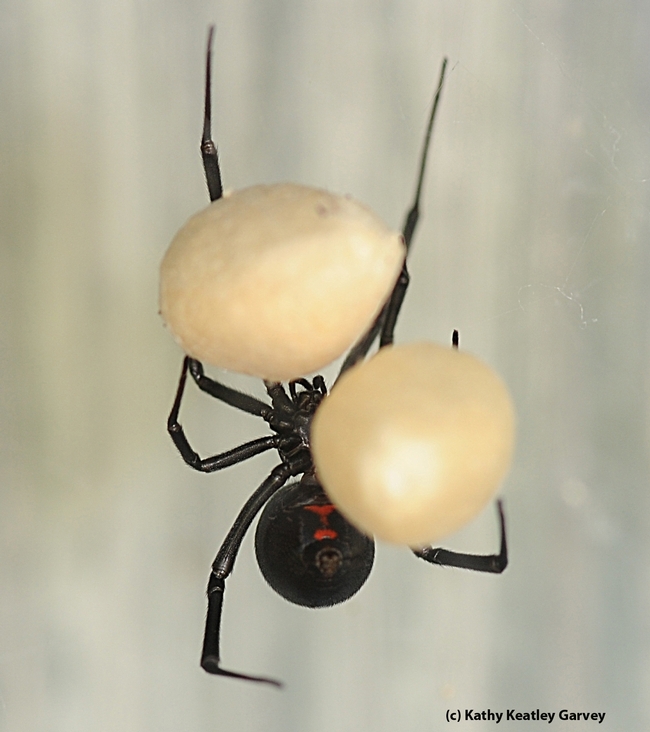 It is a very common mistake to put spiders in the insect category. I think it's funny that school groups going to Bohart Museum of Entomology always ask where the spiders are...I'm sure there will be no end to that question.